Ok, we all know we’re supposed to eat more dark leafies. They’re full of iron, and vitamins A, C, K and folate. And studies show that eating your greens is helpful in fighting cancer and heart disease. It’s important to note that some of the helpful nutrients in greens are better absorbed by the body when they are lightly cooked and/or consumed with fat. Yep. Fat is your friend. So, today we’re gonna talk simple braising and vinaigrettes, the best path to making your greens delicious AND nutritious. 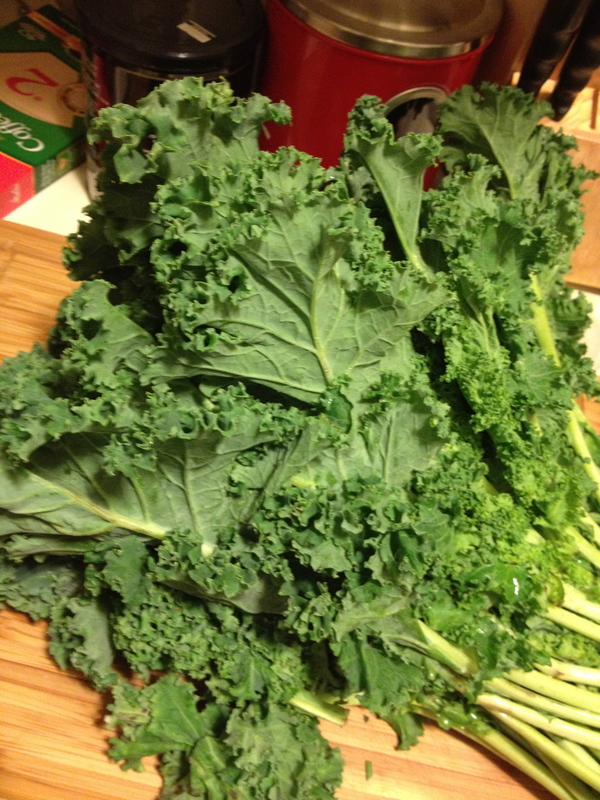 Kale (curly or dinosaur), collards, mustard greens, swiss chard, spinach, arugula. If you’re not buying pre-washed, you’re gonna wanna clean these puppies. Otherwise, you’re likely to get a mouth full of grit, which isn’t terribly appetizing. You also never know when you’re going to get an organic hitchhiker (read: bugs). The best way to clean your greens is to fill your sink with cool water and let the greens go for a swim. You really want enough space for them to swish around and shake off any sand or soil they’ve retained. Remove the leaves before draining the sink. If you want to be really thorough, do this a few times. Now, if you’re going to store your greens for a while, it’s best to put them in an open plastic bag with a damp paper towel in the fridge. This will allow the greens air AND moisture to help keep them fresh. If you’re working with some of the heartier greens with thick stems, you’ll want to remove those stems. Even if you plan to eat some of the stems (I sometimes include rainbow chard stems because they’re so pretty) they’ll need to be separated because their cook time will be different from the leaves because of their fibrous nature. You can remove the stems with a knife, but I prefer to just rip the leaves off. This also allows you to include any children below knife-wielding age in the process. For most applications, you’ll then be tearing the leaves into bite size pieces. Kids love tearing stuff!!! If you’re using baby spinach or arugula, obviously, you won’t be needing to remove the stems. to braise (verb): to cook (meat, fish, or vegetables) by sautéeing in fat and then simmering slowly in very little liquid. You can impart a lot of flavor to your greens through your choice of fat in braising. Olive oil, sesame oil, butter, duck fat, bacon fat… the list is endless. You can also do your greens a favor by putting some herbs and spices into the fat to warm up before you add your greens. When it comes to the “very little liquid,” of course you could just use water. Perfectly acceptable choice. But you could also use stock or broth, vinegar, wine, tea, any flavored liquid at all. When working with the tougher greens, like collards, I almost always use some kind of vinegar, because it helps break down the fibers, making it more tender. I wouldn’t recommend braising for the more tender greens like baby spinach and arugula. It’s just overkill. My favorite greens braising recipe will be featured in an upcoming entry on collards. Sautéeing is one of the easiest ways to prepare most types of veggies. And it’s quick too! Baby spinach will be ready in under 2 minutes. Arugula even less. Something like green beans will take maybe 6, because you want them to retain some of their snap, right? Just enough time in the pan to get them hot and even greener! My favorite? Olive oil with a little garlic and crushed red pepper with kale. Finish with salt and pepper, maybe a squeeze of lemon juice or some parmesan. Simple and delicious! If salad is for you, then we need to talk homemade dressing. Yes, you could buy the bottle at the store, but this will be cheaper, healthier, and just the way you like it, because you made it! All you need is a jar or bottle with a lid or a bowl and a whisk. As to the available lettuces, iceberg has its place and I happen to think it’s on hamburgers and tacos. For salads, I prefer spring mixes, arugula, romaine hearts, baby spinach, mesclun, and mâche. After rinsing your lettuce, you’ll want to dry it off. A salad spinner is the perfect tool for this, but you can use paper towels too. Dry leaves will make it easier for the dressing to stick. Speaking of dressing, you can always add more dressing, but you can’t take away, so add gently, tossing with tongs, until your greens have enough to glisten, but not leave pools in the bottom of the bowl. Flaxseed oil (omega-3 rich! ), dijon mustard, honey, salt and pepper. Olive oil, red wine vinegar, italian herb blend, salt and pepper. Olive oil, balsamic vinegar, garlic, salt and pepper. Olive oil, tahini (sesame paste), lemon juice, salt and pepper. Once you’ve chosen your combination you can just dump everything in your jar and shake the hell out of it. Or, if you’re whisking, add everything but the fat, whisk to combine, and then drizzle in the oil while whisking. Don’t add your dressing until you’re JUST about to eat, unless you want a little wilt on your greens. Things happen fast in the lettuce world! Let your imagination guide you. Try new things. Tell me what flavors you found and liked! 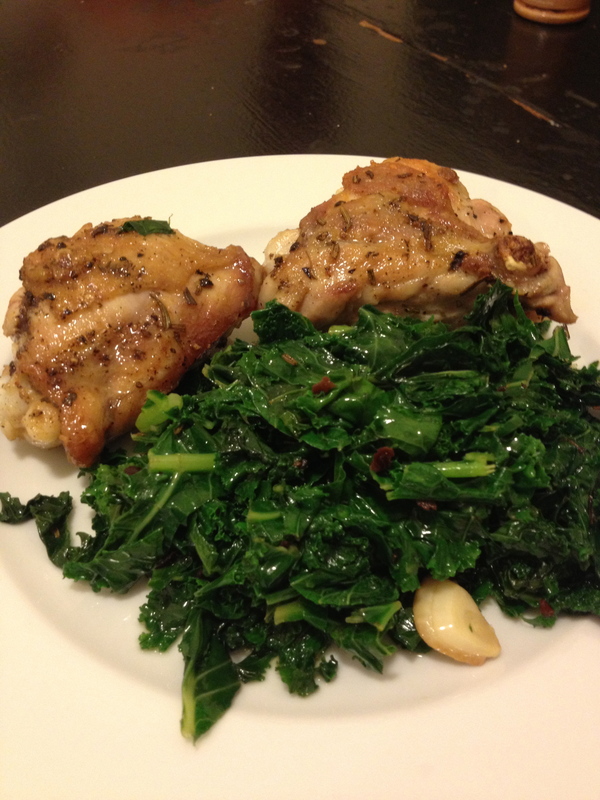 The hubster & I recently found the joy of sauteed kale in bacon grease with bits of apple & (of course) bacon. Highly recommended. Sprinkle with a bit of salt & cinnamon. I like the article, I was looking for a way to cook my kale. Have you ever tried bok choy? It is supper healthy! By the way Sunflower oil, sesame oil and soy sauce are not paleo. You’re absolutely right about the oils and soy sauce. I should’ve been clearer. This is not a paleo food blog, but it IS paleo-friendly. I’m trusting my readers to do their own nutritional research and decide which food choices are correct for them. In the mean time, I’m happy to provide flavor inspiration and simple cooking techniques.